Shhhh…listen. Hear that steady rhythm, your beating heart? Your heart has got your back…and muscles, organs, and bones, all day and all night, all the time. Are you thankful? Goes without saying, of course you are. Do you take the time to show it all the TLC you can? Maybe. Get physical. It’s no secret that being physically active is a key ingredient to improved and maintained cardiovascular–and overall–health. The American Heart Association suggests aiming for 30 minutes a day five times a week or more of moderate exercise. When time constraints make fitness goals daunting, remember that anything that makes your body move and burn calories constitutes activity. Find simple ways to increase movement throughout the day when you can. Take walk breaks and stretch breaks, and take the stairs. Park further from work, or better yet, commute actively to work whenever possible. Find what you like to do, and get it on a schedule you can commit to. Something is better than nothing, so even when you’ve only got a few spare minutes to inject a few jumping jacks into your day, just do it. Keep track of your progress, by hand or with recording tools such as a fitbit…you may surprise yourself with just how much you do fit in a day, and find your motivation starts to soar. Eat well for heart health. Good nutrition is a powerful weapon against heart disease, and in fact all diseases. That said, continually barraged with media on diet trends and nutritional advice, deciding what “good” means can be overwhelming. Certain guiding principles hold strong regardless of the fads. Not least, filling your plate with colorful fruits and vegetables. Try keeping pre-washed and sliced fruits and vegetables in handy, accessible containers at eye level in the fridge. These will serve as great, grounding reminders and energizing, delicious quick snacks. Aim to eat a variety of fish, especially those that contain omega-3 fatty acids such as wild salmon, 2-3 times a week. Build main meals around vegetables, whether planning meatless meals or taking on a less meat, more flavor approach. In adopting a mind-set that prioritizes plant-powered nutrition, you’ll find you’re automatically incorporating heart-healthy fiber-rich foods and a variety of nutrients, and limiting unhealthy fats. For great meal planning ideas, check out LiveWell Colorado’s Pinterest pages! Sleep. Exercise and diet go a long way, but to really make health a priority, sleep is an essential, too. According to a 2011 study by the American Heart Association, poor sleep quality is linked to an increased risk of high blood pressure, a potential cause of heart disease. Although what constitutes an optimal night’s sleep exactly may be hard to pinpoint, and may vary, most studies concur that six to eight hours of sleep each day is ideal. Too much or too little can mean problems. People who are sleep deprived tend to have slower metabolisms and more difficulty losing weight. They feel sluggish, edgy, and unmotivated. On the flip side, getting consistent, solid sleep affects stress hormones, breathing, immunity, and mental state. That means, more alertness, improved concentration, less depression and anxiety, greater motivation. If you’re having trouble falling asleep at night, exercise regularly, are avoiding stimulants like caffeine and TV right before bed, try establishing or revitalizing a restful evening routine. Turn off electronic devices and enjoy a hot shower, soothing cup of herbal tea, and a good book. Relax. No one is impervious to stress. In the workplace, in the home, in life in general. We carry stress when it comes to meeting deadlines, taking care of finances, finding the time, caring for others. A little stress is a good thing, too. It can be a motivator, like on the starting line of a 5K. But we all know, a little goes a long way, and stress can easily build up and be cause for breakdown. Stress can markedly increase risk of heart problems, including high blood pressure and heart attacks. So, what to do to stave off this ever lurking killer? Studies show relaxation techniques such as deep breathing and focused imagery can lower depression, increase memory, reduce stroke risk, improve judgment and more. Find what works for you. Yoga, meditation, and tai chi are some of many activities that highlight focused relaxation with numerous health benefits. Treat yourself to a massage, listen to soothing music. Whatever it is that gives you peace of mind…your heart will love it, too. Healthy Lunchbox: Back to School Ideas to Snack On! It’s that time of year, again (already?)! August arrives with a splash, and the pool is in full swing. But alongside the watermelon smiles lapping up sunshine is the steady realization…it’s time to get back in the groove. Kids aren’t the only ones who may have to work at readjusting to the return to the structure of the school year. Parents also have schedules and routines to become familiar with anew. Not least, planning out portable, healthy snacks–the kind that pack and keep nicely in a lunchbox and stand much more than a fighting chance of not being traded or trashed. Here, dig in to a few helpful tips and ideas for healthy snack and lunchbox planning. With a little choice and preparation, you can satisfy everyone’s appetites–at school, on the job, at home, and on-the-go–with fun, healthy treats! Think big picture. “A snack should help tide a child over to the next meal, not replace the meal,” Sue advises. When packing snacks and lunches, be mindful of overall quantities. Sue recommends healthy, balanced snacks or 100-200 kcals, including fiber and some protein. A few examples: a carton of Greek yogurt/handful of grapes; 3 cups air popped popcorn/1 string cheese; 1 banana/1 tablespoon peanut butter; 6 whole grain crackers, baby carrots, ⅓ cup hummus. Box up artfully. Take a few extra minutes to compartmentalize and purposefully assorted healthy fruits and veggies. There may not be time to create a picture or image (but if there is, all the more fun! ), but the visual appeal created by neatly tucking in different colors and shapes adds extra yum-factor and encouragement. You can purchase bento-box style containers, or wedge together smaller open containers inside the larger lunch or snack box. Get in shape. Who isn’t a fan of cookie cutters? Change things up here and there for little ones, and add fun to healthy choices with bear, heart, and other shapes. It’s like a secret handshake, only it’s really a hug. Make it a team effort. Lay out a whole bunch of assorted choices and encourage your child to select and/or assemble lunch fare for greater buy-in. Encourage kids to try new fillings, different fruits and vegetables, and salads. Try wrapping fillings in lettuce leaves, or sandwiching spreads between sliced cucumbers. Hot and cold. When choosing containers, consider if an insulated lunch bag or box with room for a freezer pack may work for your family. Options better kept cold will be opened up, such as creamy dips, cottage cheese, sliced hard-boiled eggs, and yogurt. Bulk up. Like buying in bulk, prepping in bulk can help ease the load throughout the week, especially with when it comes to easy treats like trail mix. Make a big batch with plain toasted oats cereal/Cheerios, assorted no-added sugar dried fruits, sunflower seeds, soy nuts or mixed nuts (if allowed at school). Kick it up a notch with old standbys. Simple canned tuna, tuna salad, chopped eggs or egg salad are even better with shredded carrots, cucumber, celery, and other vegetables thrown in; and, PB&J isn’t much of a match for nut butter with sliced banana or apples. Make it a mixer. Vegetables like carrot sticks and sugar snap peas have a lightly sweet crunch that go great with finger food fruits, like grapes. Let kids create their own combinations. The flavors sing on their own, or will go well served with a simple plain yogurt and honey dip. Let it go–frozen. Store containers of unsweetened applesauce or sliced fruits in juice in the freezer and pull them out just before heading out the door. By the time snack or lunch time hits, they’ll be perfect slushies. Finger foods rule. Keep the time constraints at school in mind when packing lunches. By the time kids arrive and get seated at the cafeteria, twenty minutes or less to eat is not uncommon. Foods requiring peeling, tricky unwrapping, or other pre-eating work may cost valuable time. Set up wholesome home routines. “Kids often come home hungry from school, and it can be easy to overeat,” Sue cautions. “How snacks are eaten is as important as what is eaten. Ask your child to sit down to enjoy his/her snack, eating from a plate or bowl at the table, not the package at the fridge. Taking the time can help with the school/home transition, allowing for calm and greater mindfulness while eating.” Sue suggests keeping a container or drawer in the fridge full of pre-approved snacks, allowing children some control and helping to avoid battles. The healthy choice can be the easy choice, even when you’re swamped in the midst of a stressful work day. That’s especially the case if you’re lucky to work for an organization that promotes a healthy culture, like LUH. Not only is Longmont United Hospital (our LiveWell Longmont fiscal sponsor) a progressive leader in providing expert care for the community, it is truly committed to helping its employees stay healthy and happy, too. Four months ago, Longmont United Hospital committed to a statewide initiative to implement measures designed to further develop our culture of health and wellness, the Colorado Healthy Hospital Compact (CHHC). Driven by former LUH Director of Nutritional Services Holly Werner, the program includes a recently implemented employee discount opportunity for food and bottled beverages sold in the Artwalk Café. The discount program features a two tiered structure: items which meet the Colorado Healthy Hospital Compact nutritional standards are discounted 25%; this includes mindful entrees, sides, and soups and certain bottled beverages. Other items that qualify for an employee discount but do not meet the Colorado Healthy Hospital Compact nutritional standards are discounted 10%. Every day, evidence is mounting of the mega impact potential corporate wellness programs have on businesses of all sizes, which is turn significantly impacts community. More and more, businesses are integrating wellness strategies that value, shape, and promote wellness in and out of the workplace. Companies prioritizing space and opportunities to make fitness opportunities more accessible, for example. Worksite challenges encourage employees to develop a sense of teamwork and camaraderie. Healthy diets are also coming to the forefront of workplace planning, with incentives such as the employee discount program at LUH, healthier vending machine options, and fresh fruits and veggies supplanting donuts at meetings becoming the new norm. For years, Longmont United Hospital has been ahead of the game, modestly but confidently leading all these trends. The entire leadership team at LUH is wholeheartedly committed to the latest new initiative, which took effect April 6th. In addition to the new discount pricing structure, the Artwalk Café ensures that all items that meet the Colorado Healthy Hospital Compact nutritional standards are clearly marked on signage; menu items that meet the nutritional standards taste great; and, all salad bar items are available at the 25% discount. We know, raising healthy awareness takes a village, and is for the whole village, too. Thank you, LUH, for your support and efforts nurturing the health of our #HealthyLongmont community! Get Out and Garden: It’s Good for You! April showers bring…great gardens! Now is a perfect time to pull out the gardening gloves, dust off the wheel barrow and tools, and get down and dirty with nature. Why? It depends on what you’re looking for exactly, but one one thing is guaranteed, you’ll find something you need. Stress relief, meditative calm, exercise, connection with the earth, fantastic flora and delicious, nutritious vegetables. You’ll be rewarded for your efforts tenfold. An impressive body of continually growing research upholds the benefits of gardening. Studies highlight it as a powerful means to combat stress, reverse depression and boost cognitive function, all in turn providing a valuable boost to our immune systems. What’s more, it gets your blood and body moving. When it comes to starting out in gardening, don’t be daunted. You don’t need a green thumb, or even a lot of space. You can garden in the back yard, or containers. No matter what, you’ll be giving yourself the gift of fresh air and sunshine, a chance to work with your hands and either turn off your thoughts or be alone with them. Make it a peaceful solitary experience, or a shared one. Spread the work among the whole family; notice the scents, the sounds, the activity of insects and birds. Observe the way the dirt crumbles, the grass bends. Whatever vibrant yields come next, the fresh beginnings make for a great start. Don’t be discouraged if the weather doesn’t cooperate. Don’t work soil when wet; adjust for weather as needed and wait for it to dry out a little. Always go with short season varieties. We only have 150 growing days here. 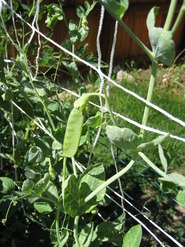 Check out resources like the Colorado Master Gardener website andCO Gardening a Challenge for Newcomers from CSU Extension. Have you started taking advantage of this fantastic FREE program yet? Longmont’s easy-to-use, convenient kiosk is located at the library! DENVER, March 18, 2015 ­­– Weigh and Win launches its fifth successful year as Colorado’s premier digital health and wellness program. Since inception in 2011, the only free, community platform that pays participants to lose weight has seen great successes, enrolling 60,000 participants and partnering with 66 community kiosk hosts throughout Colorado. In total, Coloradans have shed 178,000 pounds and earned more than $300,000 in cash rewards. Weigh and Win is primarily funded byKaiser Permanente. Last year alone, 15,000 Coloradans enrolled in the program and 13 new kiosks were installed across the state. Weigh and Win is offered for free to all Colorado residents 18 and older and provides tailored health coaching via text message and email. Participants receive fitness and nutrition plans, a weekly grocery list and unlimited access to health coaches over the phone or email. Cash incentives are provided for those with a body mass index (BMI) of 25 or greater, as well as other prizes for those who begin the program with a healthy BMI. Progress is tracked through quarterly weigh-ins at community kiosks. The kiosk measures weight, BMI, and takes a full-lengthphotograph – providing a visual progress report of participant weight improvement. The average weight improvement for a successful Weigh and Win participant after one year in the program is 17.7 pounds or an 8 percent weight loss. Recent research suggests that even a weight loss of 3-5 percent produces meaningful health benefits, such as reducing risk for Type 2 Diabetes and the need for cholesterol and heart medications. To date, 47 percent of participants with two or more weigh-ins, who have been involved in the program for six months or more, have achieved a 5 percent weight improvement and 60 percent of participants from the same population have achieved a 3 percent improvement. In addition, Weigh and Win is currently beta testing a Spanish module that will provide daily nutrition and exercise coaching via SMS Spanish text message, as well as the Weigh and Win kiosk experience in Spanish. In December 2014, Weigh and Win awarded grants to eight kiosk partners. Recipients included Boulder Valley School District, City of Arvada, Clinica Family Health Services, Elizabeth School District, Lake County Public Health Agency, North Colorado Health Alliance/Sunrise Community Health, Northwest Colorado Visiting Nurse Association: Craig and Northwest Colorado Visiting Nurse Association: Steamboat Springs. The grants were funded by Kaiser Permanente and matched by the aforementioned partners. The success of the program has also improved the financial health of Colorado communities. For every $1 invested into the program, $3.42 is saved in reduced health care costs, according to an independent analysis done by a Ph.D. researcher at Colorado State University. The first annual Weigh and Win Conference will take place Thursday, Oct. 8, at the Boettcher Mansion in Golden, Colorado. New participants can enroll online at www.weighandwin.com or at any of the 66 kiosks located throughout Colorado. See herefor a full list of kiosk locations. No question, St. Vrain Valley School District is committed to kids’ well-being from their heads down to their toes. The district consistently goes the extra mile in supporting lifelong healthy learning, recognizing the integral relationships between healthy nutrition, physical activity and academics. What’s more, the commitment to providing the best in education and care for students is made without anticipated accolades…which makes it all the more satisfying when recognition finds its way to our great schools! 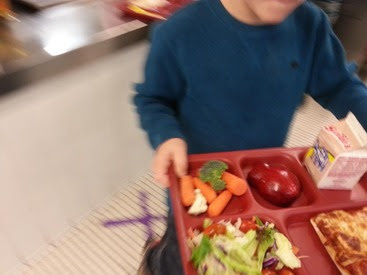 The HealthierUS School Challenge (HUSSC) is a voluntary national certification for schools participating in the National School Lunch and Breakfast programs, established by the USDA’s Food and Nutrition Service. Supporting First Lady Michelle Obama’s Let’s Move campaign. Encouraging schools to take a positive leadership role in empowering students to make healthy eating and active living choices, it recognizes schools for taking specific steps to improve their school nutrition environment and addressing childhood obesity. Among the criteria for certification, schools must offer healthy meals and snacks, nutrition education and physical activity. *Indian Peaks Elementary *Longmont Estates Elem. Hip hip hooray, St. Vrain! This week many of us will find ourselves donning traditional green clothing…but why stop there? Dress up your meals with a little more festive flair, too! Longmont wellness consultant and founder of The Organic Manic, Brandi Ginn, makes going greener a little easier with this fabulous green smoothie. Enjoy! Filled with just the right balance of greens and fruit, this smoothie is a great introduction to what’s fast becoming a healthy staple. By starting each day with greens, our bodies receive the nutrients they desperately need, minimizing cravings throughout the day. Spinach is high in glycoglycerolipids, shown to help protect the lining of the digestive tract; cilantro aids the body in detoxing heavy metals. When consumed raw, fruits and veggies contain live enzymes aiding in digestion and helping the body to function at optimal levels. This starter smoothie is best when cold, and can be stored covered in the fridge for up to two days. 1. Add spinach and lettuce to water and blend. 2. Add celery, apple, and pear; blend again. 3. Add remaining ingredients and blend again to desired consistency. Lub-dub, lub-dub. Hear that beat? It’s your heart talking to you, and it’s telling you how special and worthy you are. During the month of February, individuals see the heart as the symbol for love. February is also American Heart Month, a time to show yourself some love. Cardiovascular disease (CVD)—which includes heart disease, stroke, and high blood pressure—is the #1 killer of men and women in the U.S.! It is also the leading cause of disability, preventing individuals from working and also enjoying fun activities. Some good news? Heart disease can often be prevented through proactive healthy choices and by managing conditions. Try out the strategies below to better your heart health. Many of them can easily become lifelong habits! Work with your health care team. Get a checkup at least once each year, even if you feel healthy. A doctor, nurse, or other health care professional can check for conditions that put you at risk for CVD. Monitor your blood pressure. High blood pressure can often show no symptoms, so be sure to have it checked on a regular basis. You can check your blood pressure at home, at a pharmacy, or at a doctor’s office. Find more information at CDC’s High Blood Pressure Web site. Get your cholesterol checked. Your health care team should test your cholesterol levels at least once every 5 years. Talk with your health care professional about this simple blood test. You can find out more from CDC’s High Cholesterol Web site. Eat a healthy diet. Choosing healthful meal and snack options can help you avoid CVD and its complications. Maintain a healthy weight. Being overweight or obese can increase your risk for CVD. Check out CDC’s Assessing Your Weight Web site. Exercise regularly. Physical activity can help you maintain a healthy weight and lower cholesterol and blood pressure. The Surgeon General recommends that adults should engage in moderate-intensity activity for at least 150 minutes per week. Don’t smoke. Cigarette smoking greatly increases your risk for CVD. If you don’t smoke, don’t start. If you do smoke, quit as soon as possible. Your health care team can suggest ways to help you quit. For more information about tobacco use and quitting see Coquitline.org. Did you know, in addition to Heart Health Month, February is National Children’s Dental Health Month? In case you missed our newsletter, chew on these great simple tips for protecting those pearly whites. Thanks to Artistic Smiles for offering insights and letting us use the smiling/smile-inspiring photo! Ever notice how, sometimes, the more toothsome a tempting treat may seem, the more trauma it means for your teeth? There’s no doubt about it, oral health issues–whether we’re talking tooth decay, unusual sensitivity, or something else–can really bite. What’s more, research continually emphasizes the significant connection between oral and overall health. In fact, in addition to being Heart Health Month, February hosts National Children’s Dental Health Month, so there’s no time like the present to fine-tune your routines when it comes to being proactive for your pearly whites, especially with Valentine’s Day at hand! You’re already brushing and flossing, right? Limiting sticky, sugary foods and drinks? Well then, give yourself a pat on the back, keep up the great work, and check out these easy tips for extra help in showing off that stunning smile. Snack on apples. An apple a day has potential to do a whole lot more for your health than just keep the doctor at bay! It may curb those dental expenses, too. Apples have often been referred to as nature’s toothbrush because they stimulate the gums and increase saliva flow, which helps to decrease the acidity in the mouth and wash away food particles. This helps to reduce built-up bacteria as well. Consider rounding off each midday meal with a crisp, juicy apple or other fresh fruit, and routinely pack in kids’ lunchboxes. Go for clean and crisp. In addition to apples, crisp, firm foods like raw carrots, celery, and even popcorn help clean teeth as soon as they’re eaten, removing sticky particles and increasing saliva. Include these in your end-of-meal routine when you know the chance to brush is a little while away. Chuck the brush. Simply remembering to get a new toothbrush (or change the head on your electric one) every two to three months goes a long way in promoting oral hygiene. Over time, bacteria build-up means you’re doing little more than transferring bacteria around your mouth when brushing. Remember too, hold your toothbrush at approximately a 45-degree angle for best results. Swish. If you can’t brush after eating, try at least quickly rinsing your mouth with water to remove debris. Mouth rinses with fluoride can also be a useful part of your dental hygiene routines, shown to help prevent or reduce tooth decay. Gargling a little apple cider vinegar in the morning occasionally before brushing as usual may also help remove stains, naturally whiten teeth, and kill bacteria; be sure to brush and rinse with water afterward, as vinegar is highly acidic and could damage enamel over time. Eat a balanced diet. Just as unhealthy teeth and gums can be indicators of more widespread health problems, so too can a diet that’s healthy for your body as a whole be helpful for your teeth. Choose nutritious, whole foods to get the nutrition you need. Some studies suggest hearty-healthy omega-3 fatty acids, found in fish such as wild salmon and sardines, as well as some plant based sources like walnuts and flaxseeds, can reduce inflammation and help prevent gum disease. Happy 2015, Longmont! Here’s to fresh starts, renewed drive, and a chance to reflect on meaningful, sustainable ways to make healthy lifestyle changes, or to keep the momentum going. New Year’s resolutions represent an opportunity to identify what is most important to us in the long-term, and to care for ourselves by prioritizing healthy progress. Looking back on the past year, celebrate your successes, but don’t let falling short of what you had hoped to accomplish get you down. Instead, turn the results to good use. How can you use your experiences to create new goals for a new year? Making lifestyle changes can be challenging. Whether you are trying to maintain your weight through tempting celebrations, are focused on making (and sticking to) healthy New Year’s resolutions, or are simply trying to kick a bad habit or two, there are always bumps in the road. Many people find having a goal in mind helps maintain focus; something to work toward motivates them to stay on track, and provides a measure of how well they are doing. 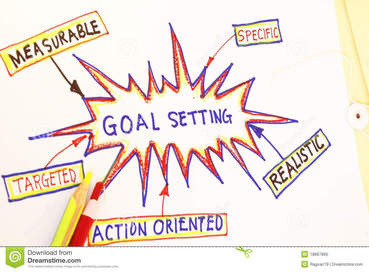 Here, some tips for effective goal setting. Just trying is success when it comes to making progress. Here, some helpful tips to get you going. Remember, everyday is a chance to make healthy choices! Pinpoint your ultimate goal. Be realistic and specific. Make your goals known to others. This will help you commit and your friends and family will help hold you accountable. Work out a road map to achieve your goal. Set a starting point, and build slowly at a pace that feels right for you. Set a reasonable time frame. Break down your ultimate goal into small, specific and achievable mini-goals. You are more likely to reach your ultimate goal if you break it down into small, short-term goals. Short-term goals are specific daily actions or behaviors that lead you to your ultimate goal. Monitor your progress regularly. Make your mini-goals measurable. Decide how you are going to monitor your progress and record it daily. Examples are pictures of yourself, a progress journal, etc. Include a healthy reward in your goal-setting process. Plan for how you will benefit, and reward yourself, if you meet this goal. Adapt your goals to fit changing circumstances. Be prepared to handle life’s interruptions. Don’t berate yourself or give up if you fall short. If your goal seems beyond you, set your sights a little lower, readjust your mini-goals and stay motivated. Make it a S.M.A.R.T. goal. This will help make your goal be Specific, Measurable, Attainable, Realistic and Timely. Got some goals in mind? Share one of your healthy goals on our LWL Facebook page (or email us at [email protected]) by noon on the 31st to be entered in a drawing for a free gift basket of great gluten-free products from Ancient Harvest! Each share will be entered in our drawing. Include #HealthyLongmont on your post or in the subject line. The winner will be selected that afternoon!